Since its founding back in 2002, EMP Medic First Aid Ltd has been a leader in lifesaving training courses in Cyprus and Greece. Active in many industrial fields, EMP is unique in that they provide custom, field-specific training courses, continuously customized to the requirements, hazards as well as accident records of each individual organization. 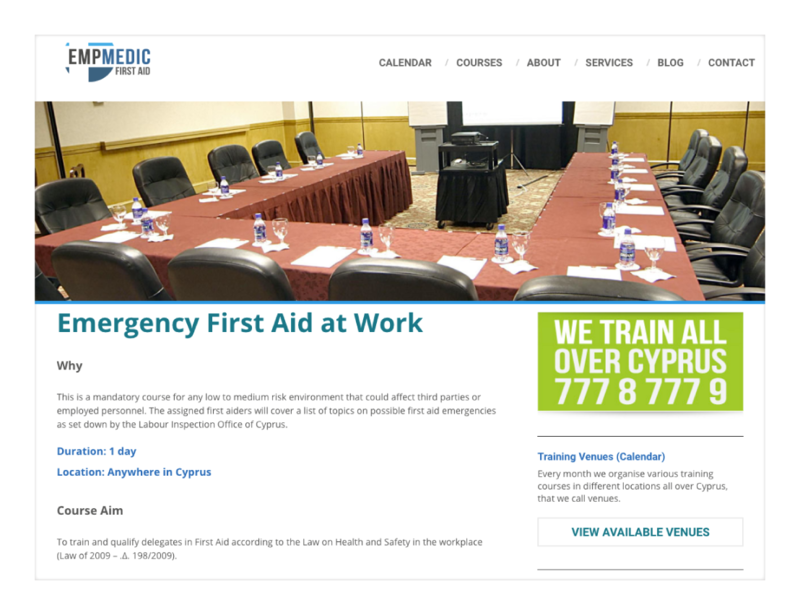 When we were chosen for the second consecutive time from EMP Medic First Aid, Cyprus’ leading first aid training organisation, we knew we had big shoes to fill! We wish to say: ‘You are welcome’!